There is an informal group of about 30 people people going out for rock climbing on a more or less regular basis. Almost all of these are residents in Damascus working for embassies, the UN, NGOs or major international companies. We also try to promote sports climbing among Syrians. Some of our hosts belong already to our most enthousiastic members.Apart from the regulars, we get some visitors who normally join in through one of the local climbers. 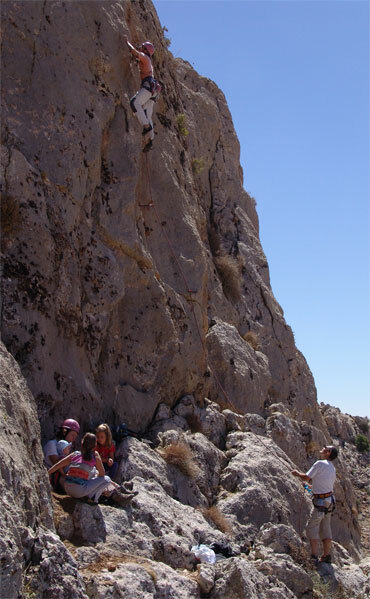 The climbing community in Damascus is rather heterogeneous in composition, with people from all kind of cultural and professional backgrounds. Hence, we are welcoming anybody who enjoys rock climbing irrespective of who he is or where she comes from.